Whether you require a routine eye exam or complex ophthalmic surgery, our experienced physicians, optometrists and staff can help with all of your eye care needs. From your first contact with one of our Fairhope or Foley offices, our professional and courteous staff will put you at ease, listen to your eye care desires, and take the time to assess your personal vision situation. We will provide educational tools and advice tailored to your specific situation so that you can make an informed decision as to the best course of treatment for you. 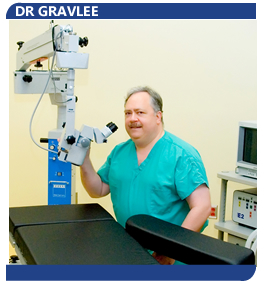 Dr. Gravlee, and the staff at Bay Eyes are committed to helping people enhance their quality of life by improving their vision. Our doctors excel at providing unparalleled eye care services, including laser vision correction. Each service is designed to meet the individual needs of each patient. Whether you’re interested in learning more about laser vision correction, require a comprehensive vision exam, or need attention for a complex eye disease, one of our highly qualified physicians can help.